Several trade realities in Samoa caught my eye in the very pertinent “Globalization or desperation?” - editorial by Mata’afa Keni Lesa in Samoa Observer on Friday this week, 03 August. A dark reality indeed! Perhaps a retrospective reminder of a series of “Analysis of Samoa Joining WTO” I submitted and published by Samoa Observer in its 10, 15, 18 December 2011 issues provide a more comprehensive and detailed forecast of the immensity of what Mata’afa Keni Lesa is articulating in his Editorial. So I am not at all surprised at what is happening now in our dear country. The threats and risks that these free trade agreements (F.T.As) generate for Samoa are huge and unfortunately mostly irreversible. Many experts have said the negative impacts far outweigh the benefits. Its ugly head is already rearing its head into the daily lives of our peoples, local businesses, and the country. HRPP government pushed this and the responsibility rightly vests with them and ultimately held accountable for the long term outcomes. Now why am I writing about this? You see, last month, trade officials met in Apia to continue a more than a decade of discussions on the Pacific regional FTA called PACER-plus. Designed as a way to limit what governments can and cannot do, this FTA will see Pacific governments making binding limitations that undermine their right to prioritise Pacific centred development. Whilst the Pacific nations negotiating have their political independence, PACER-Plus will see them undermining their economic sovereignty all in the hope for some increased investment, greater labour mobility and extra aid money. This week, our government will yet again host the continuing of these discussions with more Ministers and officials meeting in Apia. This write up is an attempt to continue cautioning the Samoan government to seriously reconsider its push to ratify these trade deals without an independent assessment of the potential costs and vigorous public consultations which have largely been overlooked in the rush to sign and ratify these deals. What exactly does PACER-Plus mean for Samoa? - The Ministry of Foreign Affairs and Trade (MFAT) will say that PACER-Plus is a development agreement that will help the Pacific boost growth and build sustainable economies – the emphasis being on the benefits of PACER-Plus. This will include better export opportunities for Samoan producers, increased foreign investment, extra aid money to help Samoa take advantage of the agreement, and improved labour mobility arrangements for Samoan workers looking to work in Australia and New Zealand. All laudable! PACER-Plus is the ‘regional’ free trade agreement between Australia, New Zealand and nine Pacific Island Countries (notably Fiji, PNG, RMI, FSM and Palau haven’t signed). PACER-Plus is of significance for Samoa with Australia and New Zealand comprising up to 40% of its imports and exports in 2017. Any changes in the trade relationship will impact a large section of the Samoan economy. However, PACER-Plus is a highly problematic FTA containing far too many concessions by Forum Island Countries (FICs) to Australia and New Zealand, reshaping Pacific Island economies. Under PACER-Plus Samoa has agreed to eliminate import taxes on 88% of imports! Based on 2014 data this translates to WST$32m lost from government revenue for provision of essential services. Even the Australian Parliamentary review of PACER-Plus expressed its concerns about the impacts of loss of government revenue under PACER-Plus for FICs. PACER-plus restricts the ability of the Samoan government to introduce policies and regulations that support Samoa development. The Investment and Services chapters contain requirements that extend beyond what Samoa has already committed in WTO! This will mean that the Samoa government will not be able to cap the number of providers to prioritise the development of local service providers, or require the employment of locals in management positions, or require the use of local products in an investment on those new areas. There will be even less ability to ensure that investments and the service industries that come into Samoa have their value maximised. Australia and New Zealand have used their seasonal employment programmes (SWP and RSE) as a major carrot for the deal. The promise of more places and different sectors isn’t locked in any way, meaning that it is Samoa and other Pacific Island Countries shouldering the burden of the legally binding commitments under PACER-Plus. This in conjunction with the AUD$25million between all Pacific signatories in development assistance and implementation, may seem a lot of money for the Pacific but in reality it is a woefully inadequate sum that is controlled by Australia and New Zealand and contains no guarantees for extension beyond five years. The most telling conditionality and expectation about PACER-Plus is its provisions that require the Pacific Island Countries to give Australia and New Zealand better treatment than it may give to other countries. The recent push to have PACER-Plus ratified and come into effect by 2019 mean that it would ensure that any negotiated outcome with the EU on Post-Cotonou negotiations and investment benefits would be granted to Australia and New Zealand. a. Firstly it is important to note that none of the purported and supposed benefits actually require PACER-Plus. Australia and New Zealand can increase their aid and labour mobility programmes whenever they want and Samoa can change its investment laws when it chooses to. b. Samoa already enjoys duty-free market access to Australia and New Zealand. PACER-Plus will not improve that in any way. The aid money promised to help Samoan exporters meet quarantine standards is most welcomed but it is unclear why Australia and New Zealand insist that PACER-Plus is required for that to happen. Instead Samoa will be reducing 85% of its import duties down, duties that protect local producers and contribute approximately USD$11 million to the Samoan governments budget. Whilst Samoa may have 25 years to make the cuts, the majority will most likely happen in the first 10 years raising a number of concerns about how that revenue will be made up in the short term. The existing inadequate safeguards for Samoan producers together with the low import duties is tantamount to PACER-plus being an agreement that opens up greater export opportunities for Australia and New Zealand at the expense of local Samoan producers. c. Under PACER-Plus Samoa will be making binding legal commitments on how it treats foreign investors or service providers. It is argued that binding commitments will give investors the required confidence and encourage them to investment in Samoa. However, this is problematic as several studies have shown that investors rarely look at agreements like PACER-Plus when making decision on where their money goes. Worse, Samoa will be granting greater rights to foreign investors than local ones giving away its sovereign right and national policy space to determine how investment will best benefit all Samoans. d. PACER-Plus will also jeopardise the ability of Samoan government to regulate in the best interests of Samoans. The commitments in PACER-Plus override any of the nice language that says that Samoa can still regulate in its interest and will handcuff the policy space to regulate in the interest of the Samoan people, it economy, its culture and the environment. These same ‘exceptions’ to regulate have been overturned 96% of the time when they have been used in the World Trade Organization (WTO). The reality is dark! Samoa will lose its national freedom to decide and bow to the PACER-Plus dictates. e. The ‘Development Assistance’ component in PACER-Plus was a key demand of the Pacific countries during the negotiations. This assistance is in two parts - to help Samoa implement its commitments under PACER-Plus, and to help Samoa take advantage of the agreement. Both cases fail security for Samoa as they need Australia and New Zealand agreement to decide how the money is spent. The reality is, both donors can withdraw their money at any time. f. The other key area of interest to Pacific countries in PACER-Plus was ‘labour mobility’. The Pacific demanded a legally binding outcome on this to ensure that one of the few areas of possible benefit for the Pacific was locked in legally. Instead this key desire of the Pacific has been ignored by Australia and New Zealand. It is only included in a loose and non-binding manner! The main outcome is the promise of an annual meeting to discuss labour mobility issues and going ahead without the protective mandate and voice of unions, those best positioned to support the right of our Pacific, indeed Samoan workers participating in the seasonal labour schemes (SWP and RSE) in Australia and New Zealand. Samoans have seen on Television in the last few weeks the excitement in our political and community leaders welcoming this opportunity. Yes, the money is great compared to the lack of opportunities in Samoa. But despite the increase in sectors and numbers available from both Australia and New Zealand in their labour schemes, the fact that they are employer-driven means the excitement in our political and community leaders is at best temporary. It is a clever way for Australia and New Zealand to render our labour supply of workers rely directly on their economic circumstances with no legal obligation to continue and utilize them to serve their economic demands when they need us. g. So, until we can see all the documents in PACER-Plus and break through the secrecy, only then can we begin to have a proper discussion about the reality of what it all means. Our Samoa officials and politicians should take note of the need to empower all Samoans to know what ‘meat’ is on the table, not just the ‘bones’ and promises of PACER-Plus. Notwithstanding the above, the same messages have been raised by our trade experts such as Adam Wolfenden, Campaigner for the Pacific Network on Globalisation (PANG), and many civil society voices in the past. 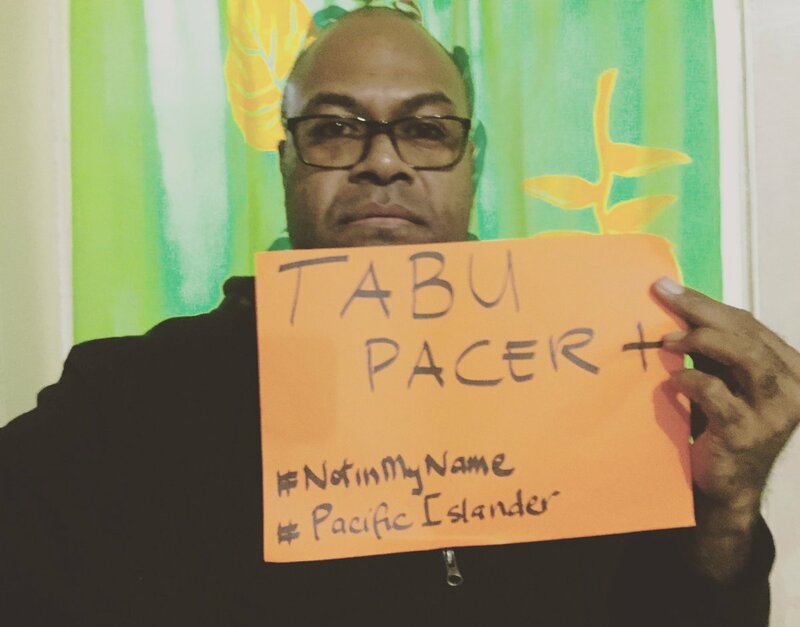 When more than 30 groups and 170 individuals from the Pacific, Australia and New Zealand called for a halt to the signing of PACER-Plus in June 14th 2017 in Nuku’alofa, Tonga, until there has been proper time to assess its impacts and time to properly consult Pacific peoples, this was and continue to be a justified and genuine call. It is the same call we make here in Apia this week. Samoa is arguably facing some serious decisions about what the future of its trading relationships will be. Samoa is already championing the ratification of PACER-Plus, and an Interim Economic Partnership Trade Agreement (iEPA) with the EU and all of these decisions will bind what Samoa can determine its future development to be. i. Less than 10% of Samoa’s exports go to Europe with most going currently to the United Kingdom (1.6%). Last year Samoa signalled its intent to sign onto the interim EPAs with the European Union. The iEPAs were negotiated back in 2007 and were signed by Papua New Guinea and Fiji mainly to ensure that their key industries of canned fish and sugar maintained their markets in Europe. Samoa appears to be signing up to the iEPAs in response to its graduation from Least-Developed-Country status, as this graduation takes Samoa off preferential treatment. ii. The iEPAs are highly problematic, containing a number of ‘contentious issues’ that were meant to be addressed in further negotiations. One such contentious issue related to protections for infant industries however it seems that Samoa has already agreed to worse protections under PACER-Plus with New Zealand highlighting that it has “stronger limitations” for use of such protections than the iEPAs. iii. The negotiations to conclude a Comprehensive EPA however broke down largely on account of the Pacific refusing to allow access arrangements to fisheries to be included in a trade agreement. Rightfully so, the Pacific stood behind the principle that such matters should be dealt with in the appropriate forums. Not getting what they wanted, the EU suspended negotiations and told the Pacific to reflect on their positions. On the Post-Cotonou Negotiations - The collapse of the Comprehensive EPA negotiations however doesn’t mean that the EU’s agenda is lost on the Pacific. Starting later this month are negotiations for the ‘Post-Cotonou’ agreement that will determine the relationship between the EU and Pacific states for decades to come. The EU negotiating mandate continues to push for enhanced access and protection for European investors as well as undisturbed access to the natural resources in ACP countries - including for the Pacific fisheries and seabed minerals under the EU’s blue economy agenda. The EU wants to ensure that their corporations aren’t disadvantaged in their ability to access the resources that are in Pacific waters and seabeds. The mandate also mentions an improved investment environment in the Pacific, language that usually implies less ability of governments to regulate in the interests of their communities, the environment and their cultural and indigenous way of life. Samoa is one of the lead negotiators for the Pacific Island Countries and must defend the interests of Pacific led development. Samoa has to look beyond the false promises of FTAs and confront the tough decisions on its trade relationship with Australia, New Zealand, and the EU. PACER-Plus needs to be thoroughly and independently assessed to understand what the real and net costs will be for Samoa, its local business environment, its peoples, and its finite resources and opportunities before a decision is taken to ratify. There must be prior, clear, genuine, meaningful, extensive and inclusive consultation with communities for their full understanding before any decision on both PACER-plus and a Post-Cotonou agreement are made. Let me now conclude - As I have intimated - What Mata’afa Keni Lesa rightly articulated in his timely 3 August 2018 Editorial does not surprise me at all. You can see the impacts of FTAs around you on what is happening now in Samoa. The threats and risks that these FTAs generate are huge and unfortunately mostly irreversible. PACER-plus, iEPA, and post-Cotonou agreements typically enmesh Pacific leaders and officials by the agenda of the rich! – “So the islands got US5.8 million for signing PACER +? Australia and New Zealand (ANZ) got a trade treaty which ANZ gets duty free access for its exports to all PIC markets, and the Pacific islands get no commitment on improved access because they already have it under SPARTECA, no commitments on labor movement and $5.8 million in aid? Let me stop being polite about this. If that is the entire package then all the PIC negotiators should be sacked immediately. YOU ARE USELESS!! I am even more proud that I was removed in 2009 by the sycophants at the Forum Secretariat because they knew I would never agree to such a terrible deal. They were right. In the end it is the ministers and the leaders who should be roasted for this dreadful treaty. The negotiators are largely just ‘per diem collecting yes-men-women’ who cannot tell the Peoples of the Pacific what they know is the truth- they just spent ten years travelling back and forth across the Pacific negotiating a treaty that gives their constituents nothing. They must have made a lot in per diems over the decade. Shame on Australia and New Zealand forcing this pathetic unequal treaty on people who they know are dependent on their aid! The bureaucrats in Wellington and Canberra must be really proud of themselves! By the way, I have on good authority learned that Australia and New Zealand are targeting our customary lands in the Pacific as the major vehicle this PACER-plus agreement rides and there has been New Zealand funded research in Samoa, at least, to determine what the ‘size of the prize’ will look like! But that is for another day!